As a documentary photographer, I am interested in the idea of staged studio-photography. 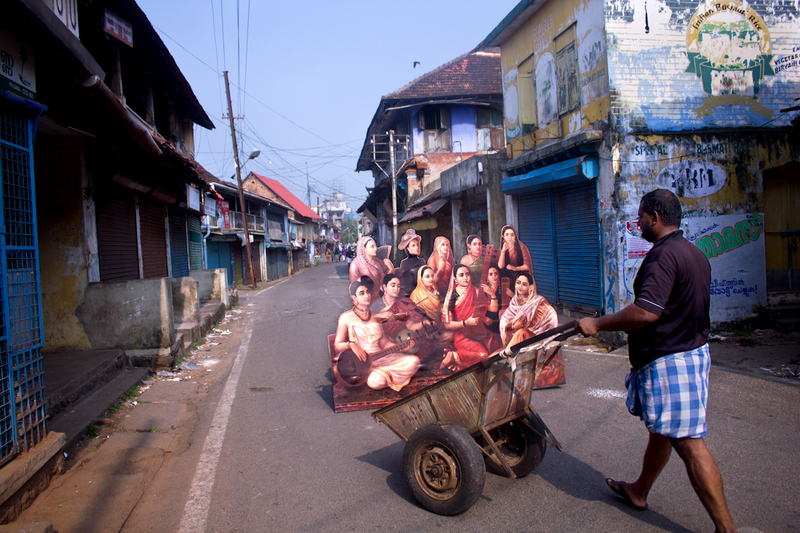 It creates a space for conversation with people — the backdrop creates an opportunity to interact with strangers in a context like Kochi-Muziris Biennale 2014, for example, connecting with the history of painting and photography, and embedding it in a public space as a public and interactive project. I choose the iconic painting by the legendary painter Raja Ravi Varma, currently featured in the Mysore museum. 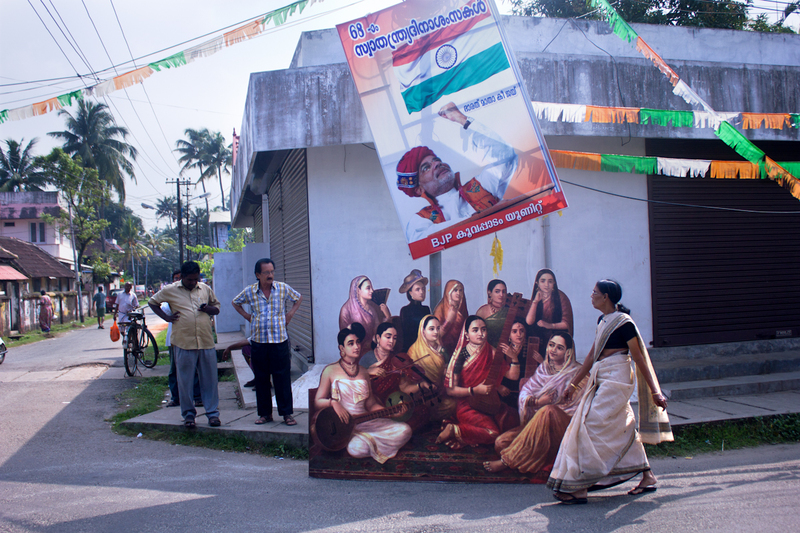 Although Ravi Varma is originally from Kerala, he had a pan-Indian following. 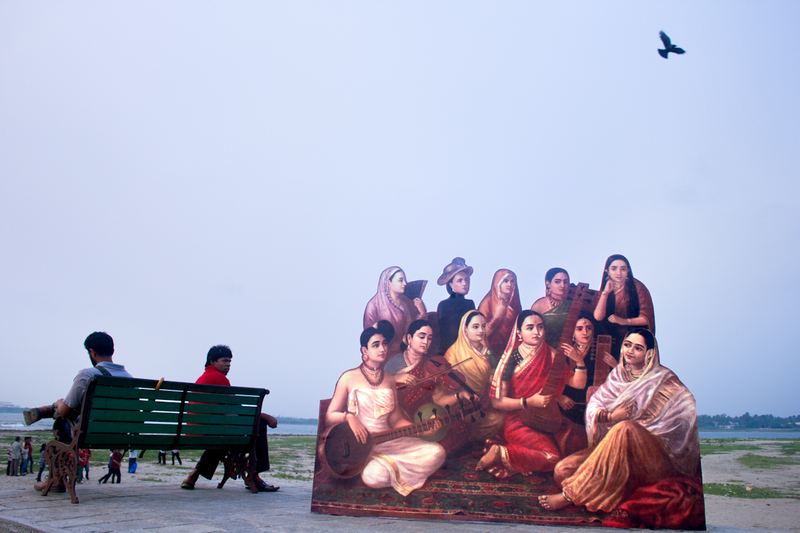 The painting ‘Galaxy of Musicians’ is visionary and choreographs women from different regions of India as parts of a dramatic setting. It envisions ‘Unity in diversity’. 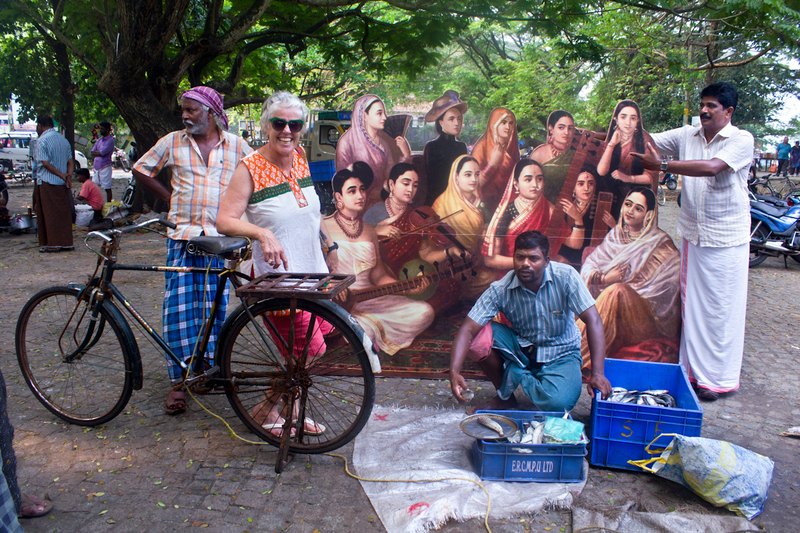 I wish to reclaim Raja Ravi Varma in a contemporary trans-cultural context. This painting is inspired by group studio photography. It excludes the common people. I believe in dismantling the aura of the painting and making it commonplace. I use the ‘Galaxy of Musicians’ as a popular cutout for the local people to interact with. 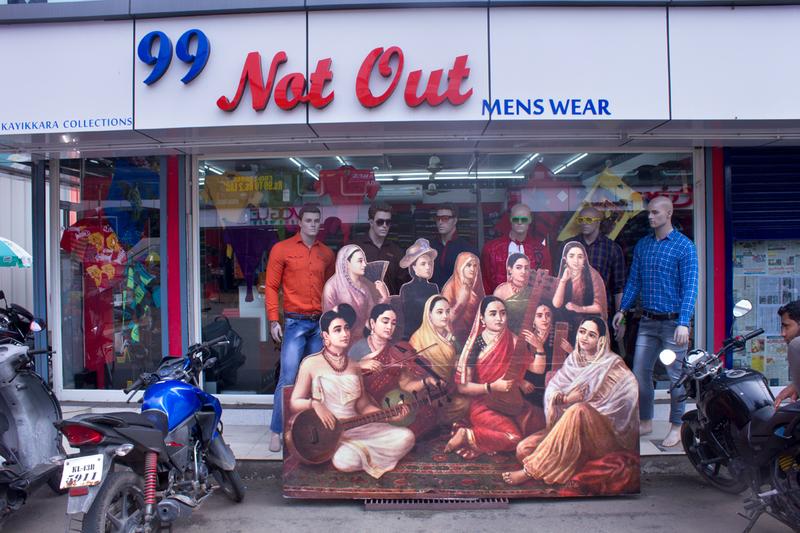 This is an attempt at a retake of Ravi Varma, to create a more inclusive context to celebrate diversity of humanity and be more inclusive. 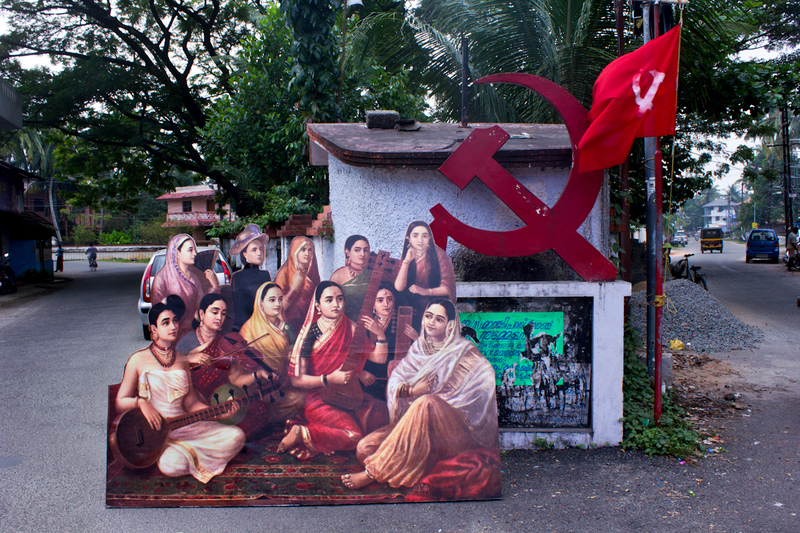 It also presents an opportunity to create a situation in the public space for conversation and reconnections with history and diversity, set amidst the social and political context of contemporary cosmopolitan Kochi. Images and text © Cop Shiva. Raja Ravi Varma (29 April 1848 – 2 October 1906) was an Indian painter and artist from the princely state of Travancore (presently in Kerala) who achieved recognition for his paintings depicting scenes from Indian literature including the epics of Mahabharata and Ramayana. He is considered one of the greatest painters in the history of Indian art and his paintings are considered to be among the best examples of the fusion of Indian traditions with the techniques of European academic art. Shivaraju B.S. whose artist-sobriquet is ‘Cop Shiva’ is a professional artist/photographer with ten years of experience as a coordinator of the art space and residency 1Shanthiroad in Bangalore, India. During these ten years, he has coordinated and managed more than hundred exhibitions and art events, and has assisted more than fifty international artists in residency. 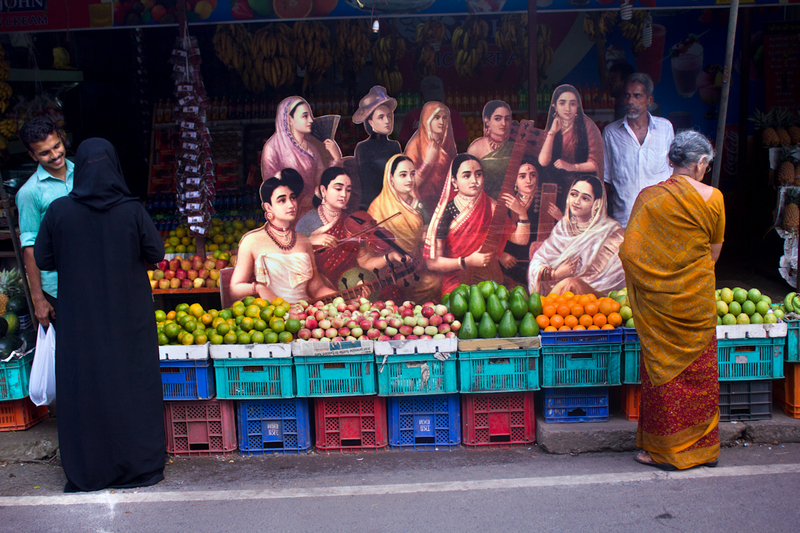 In his practice he documents the complexity of rural and urban India, focusing on people and portraiture as a genre. He is fascinated with the idea of masquerade and the roles people play in public and private. 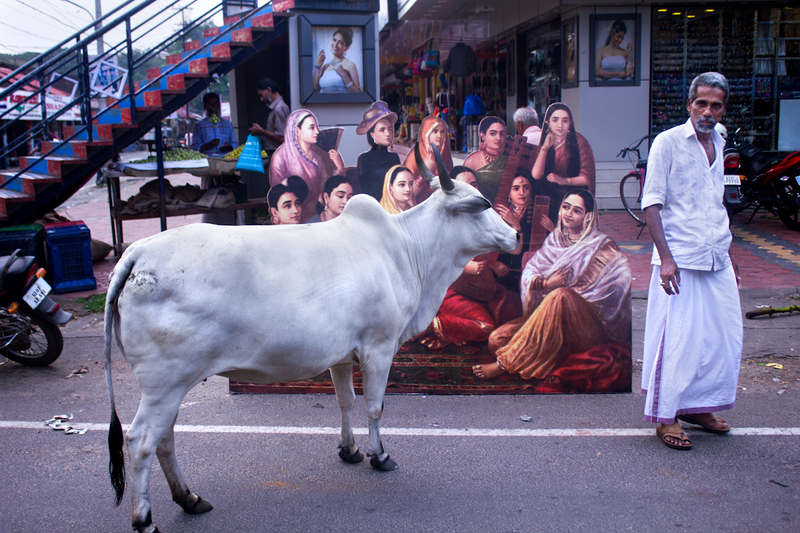 His portfolio includes intimate portraits of urban migrants, people of alternative sexuality, street performers and others living in the hinterland of urban and rural conflict. He captures the diversity of humans who live on the edge and represent the spirit of our times. 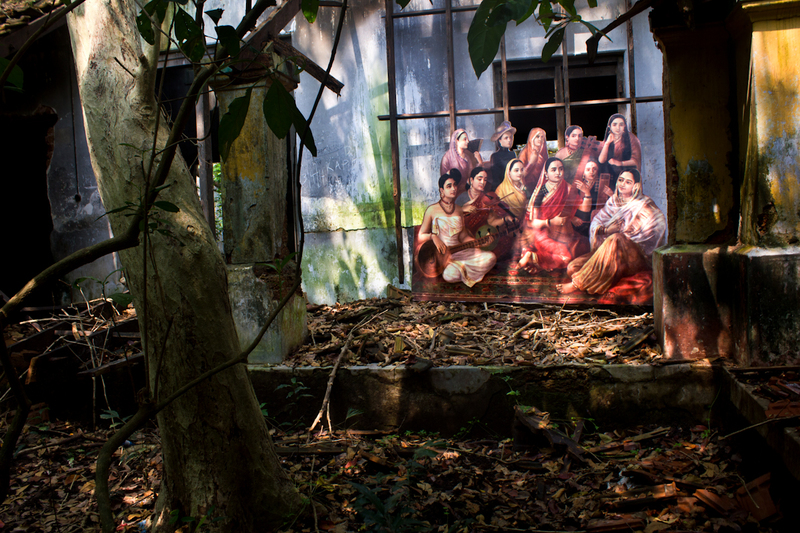 His works are presented in Gallery Sumukha in Bangalore and Art Heritage Gallery in New Delhi. He has had the opportunity to present his work in seven individual shows in well reputed galleries and museums. 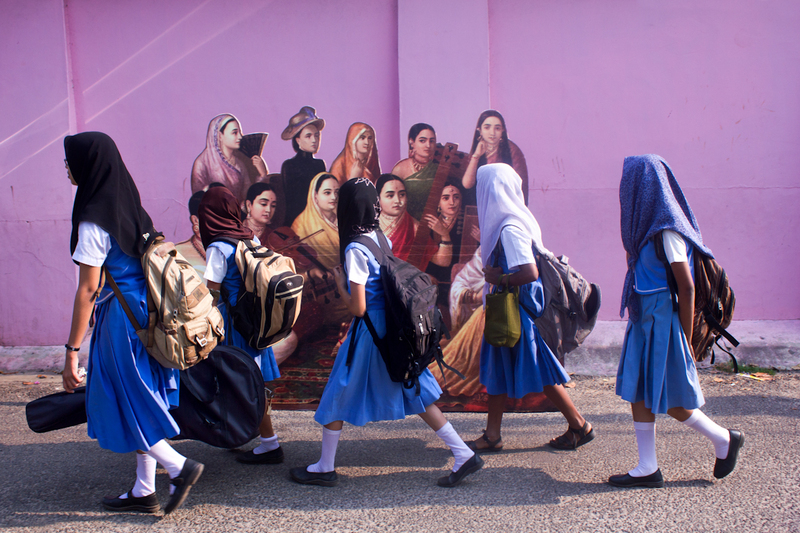 It has also been part of several group shows, nationally and internationally, including Chobi Mela in Bangladesh, India Art Fair and Kochi Biennale. He is the recipient of the 2017 grant Prohelvetia-Switzerland and Swedish Art Council and was the 2016 finalist of the most prestigious Harvard University Peabody Museum Robert Gardner Fellowship of Photography. In 2001, he joined the Karnataka Police Department.